Buying a Mobility Scooter can seem like a mine field, but by reading this article, all will become clear. You will find help, advice and Frequently Asked Questions (FAQ) answered. This article was written by a Mobility Engineer with years of experience with all types of Mobility Equipment including Mobility Scooters. There are hundreds of different types shapes and sizes of Mobility Scooters available, please use the information within theses articles to gain a better understanding of your requirements for a Mobility Scooter that is right for you. What are you going to use the Mobility Scooter for? 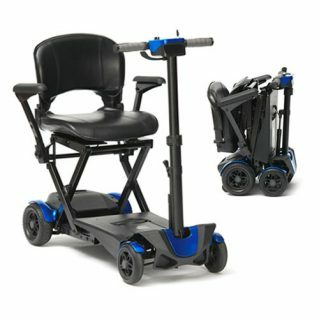 It is important that you are capable of using and controlling a Mobility Scooter. Your disability and or your health may prevent you from achieving this. 2. What are you going to use the Mobility Scooter for? If you are very tall, long in the leg or have large feet, then a small travel Mobility Scooter will not be suitable. If you are small or very frail then a large Mobility Scooter will not be suitable. Your weight is important too, as all Mobility Scooters have a maximum user weight specification.